Looking for a fun, enjoyable and well - rounded activity for your child this summer? If so, you might want to check out our First Tee program offered here at Briardale Greens. 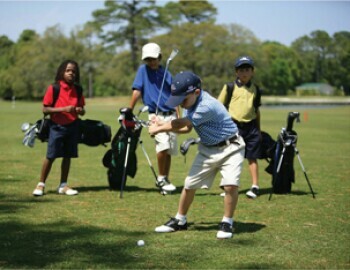 The program teaches young people, from ages 6 - 18, life skills, golf skills, core values and healthy habits all through the great game of golf. Interested? There will be an Open House event held on Saturday, April 11th from 10am - 2pm here at the course. You are welcome to come at any time. During the open house, parents and children will be able to meet the coaches, explore the program, grab a bite to eat and enroll for spring or summer sessions.